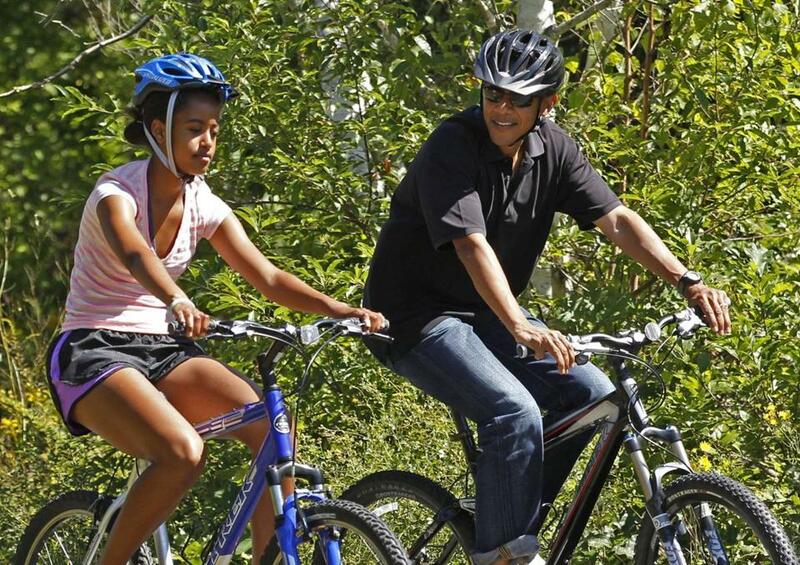 Obamas looking at Farm Neck vacation? President Obama and daughter Malia on the Vineyard in 2011. Between Benghazi, the IRS badgering the Tea Party, and assorted other brush fires, it’s hard to imagine President Obama will have time for a vacation this summer. But apparently he will. There’s been no official word from the White House, but we’re hearing the Obamas have their eyes on a house in Farm Neck on Martha’s Vineyard. During three previous visits, POTUS and FLOTUS and their daughters Malia and Sasha stayed at Blue Heron Farm in Chilmark. But British architect Norman Foster has since bought the place for $21.9 million. Farm Neck is secluded and, most importantly for the president, has a nice golf club. We’re told first lady Michelle Obama and the children may be on the island for an extended period, with the president joining them on occasional weekends and for two weeks at the end of August.